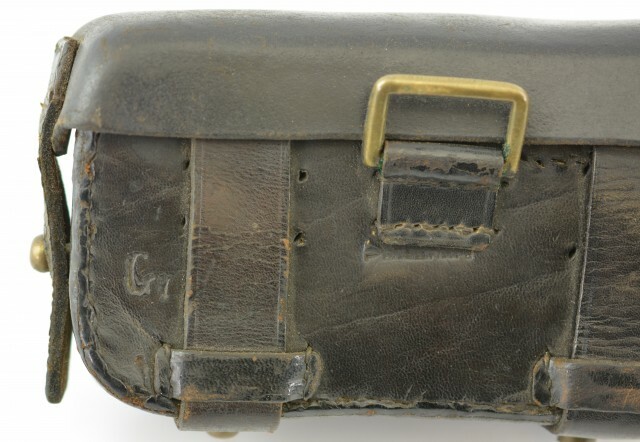 Description: Prussian M/87 cartridge pouch for the other ranks in the infantry. 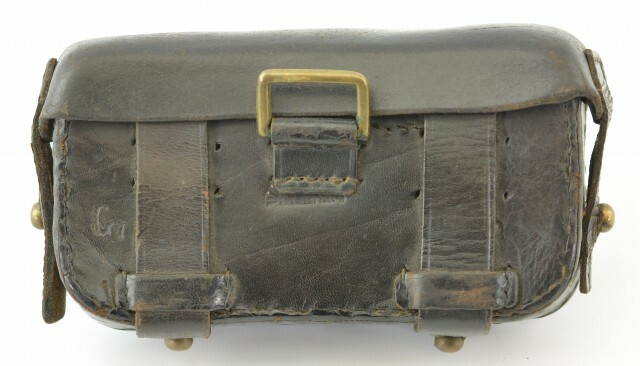 This black leather pouch appears to a oonversion from the M/74 model pouch. the inside of the cover is an ink marked 119 R dated 1888 and crossed out FB. 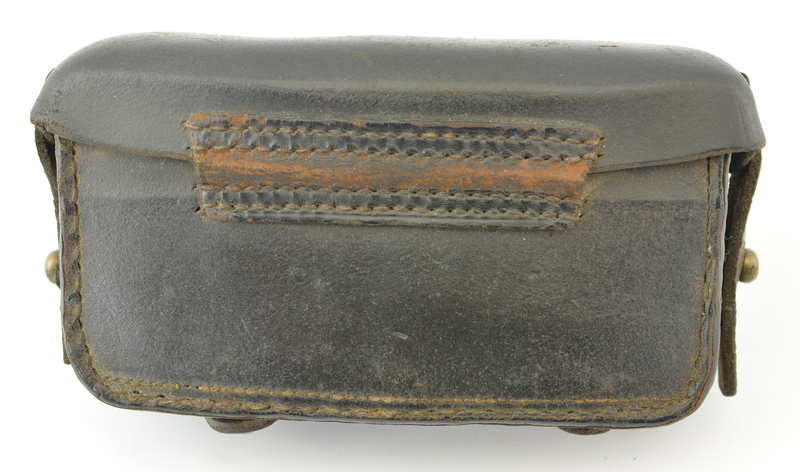 This pouch remains in excellent condition. 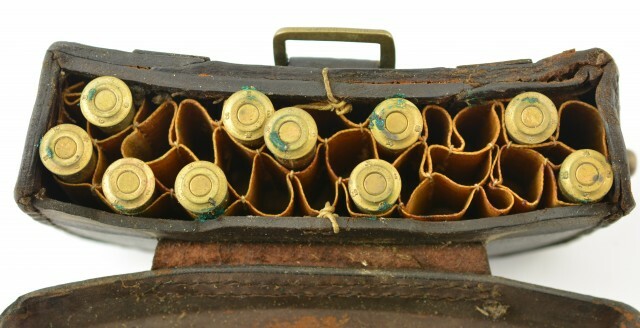 The open holes were from the M/74 pouch. 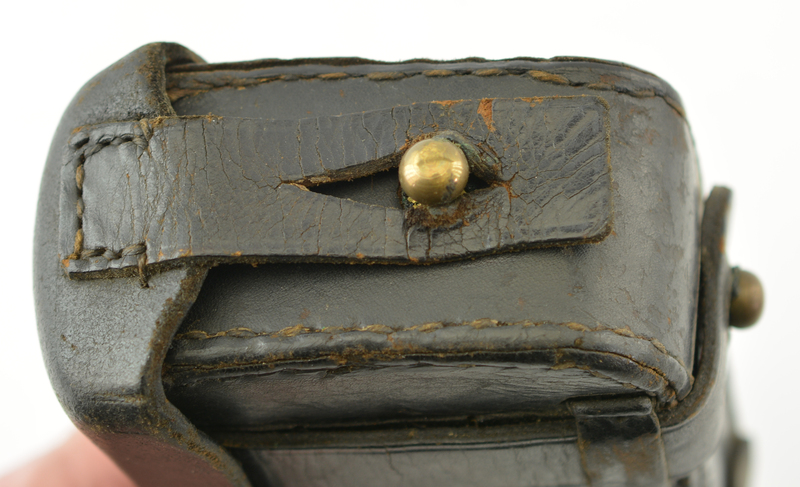 The leather remains in excellent condition. The comb canvas insert remains in place. This pouch was found with 10 original 11 mm (43 mauser) cartridges that remain in excellent condition and show head stamps dated 1886 & 1887. An excellent and uncommon example of 1880's German Militaria.